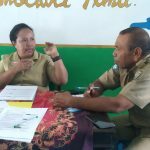 There are some interesting stories behind the inauguration of the library at Mananga Islamic Elementary School in Central Sumba Regency, NTT. 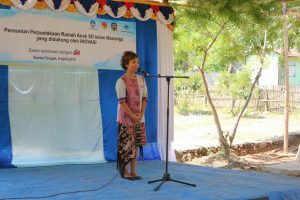 One of them is when the Founder of Rainbow Reading Gardens, Nila Tanzil delivered her stories to all audiences during her speech. She told us about how she began to love books. When she was a little girl, her mother always read a book for her before she went to bed. Then when she was able to read, one of her favo urite book was Tintin. Tintin is a story about a young detective named Tintin who travel around the world to solve cases. Tintin became one of the inspiration for Nila to travel around the world. And the dream comes true. She has travelled 41 countries in the world so far. Amazing! All people who came to the inauguration were amazed by Nila’s stories, you could see it from their facial expressions while listening to it. 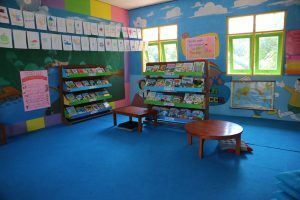 The library at Mananga Islamic Elementary School has been officially opened after cutting the ribbon as a symbol. And then we invited the parents to visit the library. It is the time for parents look around . 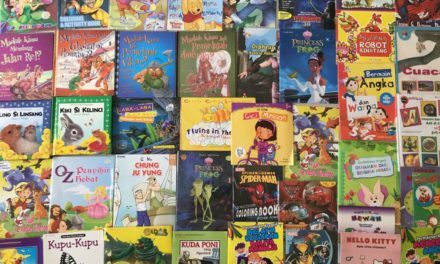 One of the parents, his name is Haji Hasim, as soon as he entered, he immediately asked the librarian “Where I can find the book of Tintin? The book that Mrs Nila was telling us about”. Indeed Tinti n’s book was not in the library, but the librarian guide him to a shelf where there were books about adventures around the world. Haji Hasim took one book and turned the page, then he commented. I responded with a smile. Haji Hasim commented again. I was touched by Mr. Haji Hasim words. I did not expect the enthusiasm of parents to see this child-friendly library. 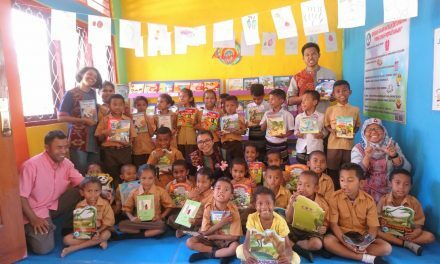 This kind of welcoming gives us the reasons to continue our work, giving access of high quality book stories to the children, especially in eastern part of Indonesia. 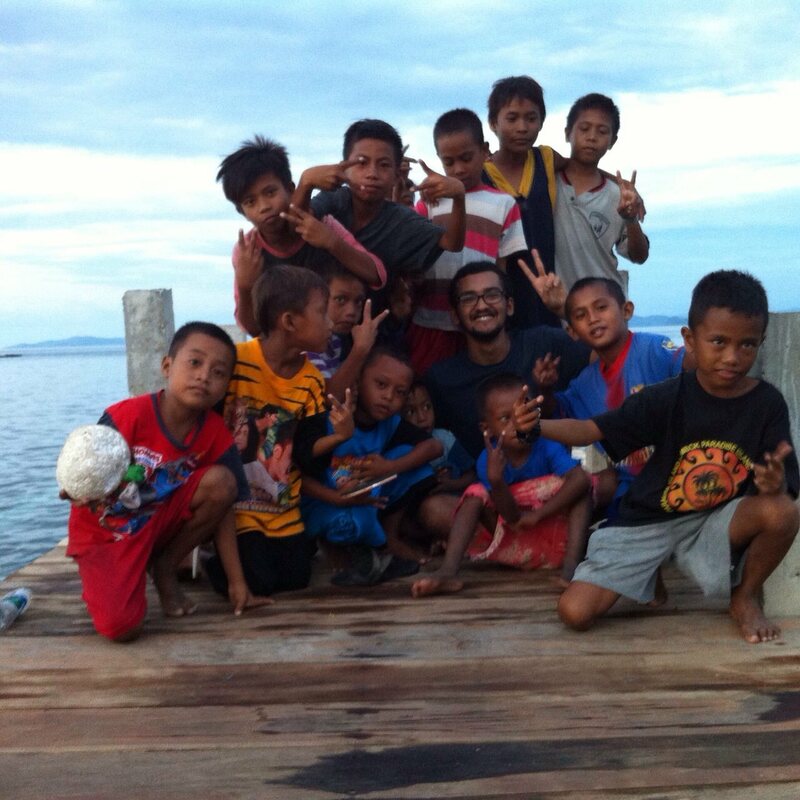 Hopefully, this enthusiasm and this spirit will also spread to students at Mananga Islamic Elementary School. Hopefully, the books will become their friends and they could growing together. 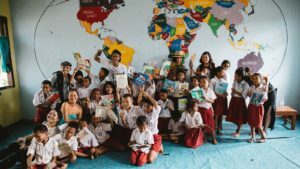 The Mananga I slamic Elementary School library is our 111th libraries in Eastern Indonesia. 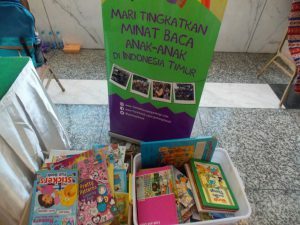 This time we are working with INOVASI to provide access of the best reading books for children on Sumba Island. Thank you, Inovasi!